Since 2013 the Stadsschouwburg Amsterdam is extending an invitation in every odd year to an internationally interesting theater director: Brandstichter. In Brandstichter the work of the chosen international director is presented by several companies. In every even year it is the turn of an international theatre company of the highest caliber: Brandhaarden. 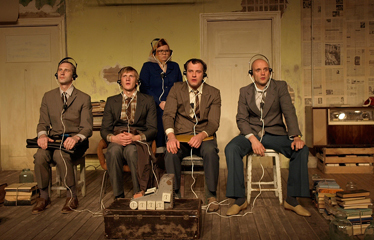 In Brandhaarden the work of various directors is presented by one international theater company. Ammodo supports Brandhaarden/Brandstichter as a way of contributing to high quality international programming and contextualization in the Dutch theater.